After months of painful waiting, I finally received my copies of the “Heritage” CD and DVD on Tuesday. If anything, those last few hours waiting for my package to arrive from Amazon were the worst hours since this show’s announcement. Never mind the fact that I had been fortunate enough to see the show twice last fall–I still wanted the CD and DVD SO badly, and I knew how amazing what I was waiting for would be. Knowing might actually have made the wait worse, now that I think about it. Knowing that Damian would soon be soothing me with a gorgeous rendition of “Buachaill ón Éirne“ or that I would soon be squeeing over Keith and Neil performing “Whiskey in the Jar” and rocking out on their matching guitars. There was so much to look forward to reliving on the DVD alone, and so much more to hear for the first time on the CD. I won’t go through every song on the DVD, but rather pick and choose a few. “Heartland”. A classic. It never gets old. And. DECLAN! Oh, how I love you and your drums. I WILL get my Deco hug this year. I WILL. And a new picture with you, not that I don’t love the one I already. Or not. TheThunderTube took down “Heartland,” BUT IT WAS REPLACED WITH “THE DUTCHMAN”!! Go watch that instead, before it gets taken down and replaced with a different song. EDIT: Yeah, they keep changing the videos and I can’t keep up with it. Just go to their YouTube channel. It won’t disappoint (except if you’re looking for all the Heritage videos right now). You have my solemn vow. No words can properly express how I was feeling as I watched “Buachaill ón Éirne” for the first time since last October. There may or may not have been a tear or two trickling down my cheek at the end of the song. That lad has a voice. Pure and simple as that. I wish to reiterate my desire for an entire album filled with soothing songs that best highlight his amazingly smooth and deep voice. “As Gaeilge” (“in Irish”) would be a plus ;). “The Dutchman”. Oh, “The Dutchman”. Oh, Keith. Sweet, sweet Keith. I love you more and more with each new song you sing. And I love you more and more with your surfer-dude hair. Thank goodness “Heritage” was filmed pre-“Heart-Attack Inducing Hair Cut”. Please don’t do that to me again. I love your “bushy, bushy blond hair-do”. Besides, your “Surfer Medley” just doesn’t work without it. I know it’s your hair and you don’t care what us Thunderheads think about it (you’ve certainly expressed that sentiment, to me even *embarrassed at the memory*), but just please throw us a bone and don’t cut your hair again during touring season . . . at least not drastically like last time. Okay, hair begging over, back to “Heritage”. “Noreen”. Neil. LOVE. It’s such a beautiful song, made all the more sad because of its history. Phil Counter composed the music for it years ago as a gift for his friend Liam Neeson (yes, that Liam Neeson) and his new wife Natasha Richardson. It was called “An Cailín Fionn”/”Natasha”. Now, a couple of years after her tragic passing, Phil put words to the music and it transformed into “Noreen”. The emotion behind Neil’s performance is just heartbreaking–his eyes even becoming glassy by the end. I couldn’t think of a better person to sing this song. I love every single second of its performance and I can’t wait until the fall to hear it live again. “Whiskey in the Jar”. One word: *SQUEE!!*. That about sums it up. Well, maybe four more words: Keith’s partly unbuttoned shirt. *Fans self*. Wait, a few more words: running and kilt bouncing up and down. Yup, that sums it up. Oh, to be Keith’s guitar pick in that song. Or to be the lucky person who caught it as he threw it into the audience at the end. “Place in the Choir”. These photos sum it up quite nicely. So do the words “Damian can’t dance his way out of a paper bag”. It was adorable watching him try to line-dance. Try, being the operative word. Don’t worry, we all still love you. No, I wasn’t biased *at all* in my song selections. They were all amazing. Just watch it and see. Now on to the CD! 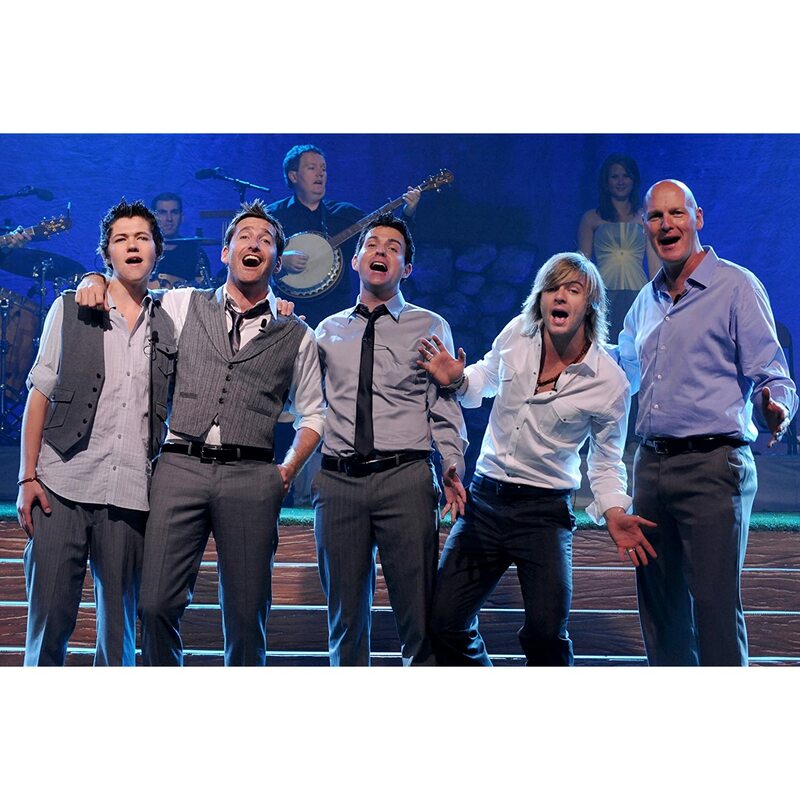 The “Heritage” CD was my first introduction to Emmet Cahill (Cah-hill) as a full-fledged member of Celtic Thunder. I had listened to the songs on his website, but those were geared more towards his classical training. I was eager to hear him singing with the other lads–would he blend well with them? Would he fit the sound? I wasn’t disappointed. At all. He’s already getting along with the lads on Twitter, and that camaraderie has most certainly translated to the music. I’m very much looking forward to seeing YouTube videos of his PBS studio visits with Keith in a couple of weeks. This is one time I wish I was on the West Coast, so I could watch for myself without having to simply hope that videos will be posted afterward. I’m counting down the days until the Beacon Theatre show on September 24th (EEEPPP!!!) so I can hear and see him live. Oh yes, I think he will fit in with CT very well if I do say so myself. Not only is *he* gorgeous, but “Kindred Spirits” is absolutely beautiful. He is one lucky lad to have Phil Coulter write a song especially for him to perform. My favorite song on this CD, hands down, is “The Galway Girl”. It’s such a fun song that I can’t listen to it without having a goofy grin plastered on my face the entire time. When I first heard it in its entirety, there was a gigantic gasp as I heard Emmet start it off. Oh boy. Keith, you have some intense competition now. Now, Emmet, if you’re at least 6 foot, you might need to watch yourself while you’re here in the city. I might need to kidnap you and hold you hostage in my dorm room. I’m giving you fair warning, boy, so you might want to do some shrinking before the fall tour starts ;).